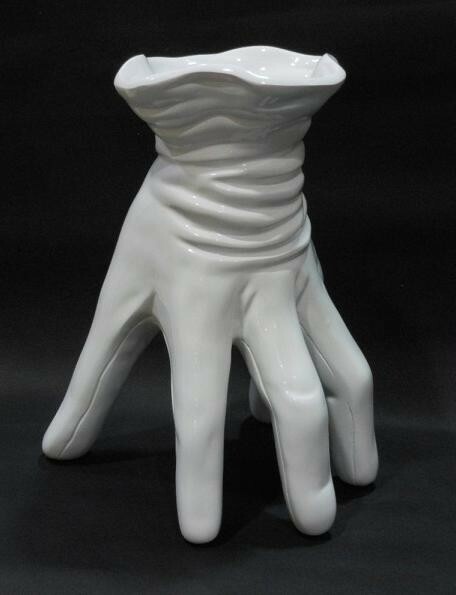 White Decorative Hand Shape Flower Vase a container that is used for holding flowers or for decoration. look new and attractive hand shaped flower vase which hold for cutting flowers or display from home table . this flower vase is made from terracotta material used .